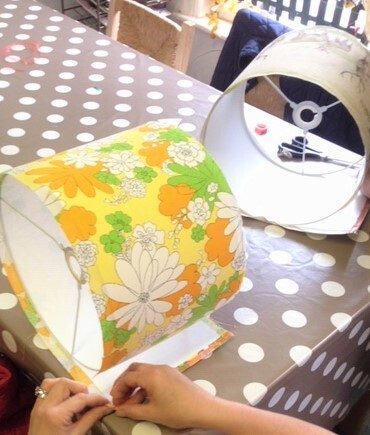 In this 2 hour workshop, Sarah Sewell of Wildgoose Designs will teach you how to make a fabric-covered 30cm drum lampshade. Your lampshade can be made for a table lamp or pendant fitting (ceiling). Suitable for beginners & absolutely no crafting experience necessary! There will also be a selection of retro cotton fabrics available to purchase (£5 per lampshade) if you prefer. Extra kits will also be available to purchase at a discount price of £12 per kit (fabric not included). Categories: All, Machine Sewing & Needlecraft, Something A Bit Different, Textiles, Workshops & Courses. ‘Crafting with the Magpies’ is a back for another fabulous day. 5 crafts, one day. WOW!! Yes, we are that excited we needed to put it in captial letters. These crafts have been specifically chosen to work within a hour time frame each. You need absolutely NO crafting experience at all to join in. All materials are provided and each craft has a specialist tutor to help and guide you through each session. On arrival at 10.00am at The Flour Mill Studio (there is a flight of steps to climb to access the studio), you’ll be greeted with a prosecco and a good lump of cake. We’ll start with a brief introduction and plan of the day. At 10.30am we’ll start our first craft, you will be working in groups of 6 per table, but you will do your craft individually. You will have a 15 minute introduction and demo of each craft and then 45 minutes to complete your item. After an hour at each table, the gong will sound and it’s time to move to the next craft! We will break at half 12 for a well deserved light lunch provided by a lovely local cafe (cake is 100% involved). At 1.30pm we will continue with two more craft sessions until 3.30pm when we will stop for a glass of prosecco or a nice brew (and of course more cake). 4.00pm will be the start of our final craft and at the stroke of 5.00pm the final gong will sound and it’s time to relax, with a good cup of tea of course. You will be very welcome to chat to our tutors about the crafts from the day and ask any questions. We use this time to have a look at all the lovely work completed throughout the day. If all of this excitement isn’t enough we have one more surprise! Every event attendee will receive a branded Two Little Magpies badge and cotton bag, just perfect for taking your finished crafts home in. The light lunch will consist of fresh sandwiches and salad plus savoury and sweet nibbles. Please let us know of any dietry requirements as we are inclusive to all and will cater for all and any needs. 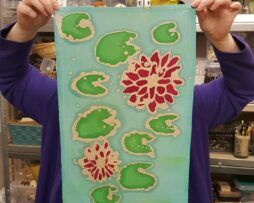 Fiona will show you the art of ‘Batik’, which is painting with wax on to fabric, to create beautiful individual works of art. Using a Tjanting tool to manipulate your wax, you will be creating a design on a cotton tea – towel. 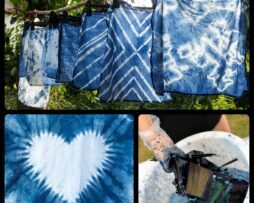 Once the wax has set, you will using highly pigmented dyes to paint your designs. All materials and templates are included, plus beverages and light snacks. 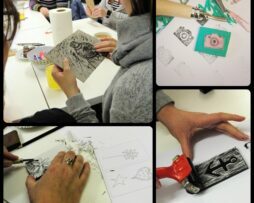 On this 2 hr course our lovely tutor Fiona will teach you the art of lino cutting and printing. Fiona will start the session by looking at plenty of samples of images printed using lino cutting techniques. She will talk about the tools involved and you will get to handle and use each tool to create a small practise piece. Fiona will go on to help you plan a design and then how to transfer it to the lino. You will be able to use the tools used on your sample to create a linocut. Lastly, Fiona will show you a couple of methods of burnishing and printing your linocut. You’ll go home with your lovely linocut, some sample prints. There is no excuse for not displaying your fab piece of art at home straight away! This course is suitable for complete beginners to lino cutting or those wishing to brush up their skills. As lino cutting involves using sharp gauging tools we recommended attendees are 12 and over (under 16’s must be accompanied by an adult). This is a 2 hr course and will include hot and cold beverages and lots of lovely biscuits. Please arrive 10 minutes early to allow time to get a brew and get settled, you don’t need to bring anything other than your lovely self. Directions and further information (if needed) will be emailed directly to you two weeks before the course date.